While Google and Apple have their own development frameworks for augmented reality (AR) related applications, social media giant Facebook is working on ways to implement AR innovations on its platform as well. According to a recent report from TechCrunch, Facebook is testing a new feature to the AR camera on its mobile application. The camera, which up until now only utilized AR for simple selfie masks and 3D objects, can now use real-world location markers to trigger AR experiences. The company has confirmed that it’s currently testing the feature in closed beta with promotions for upcoming films- Ready Player One and Wrinkle In Time. The company plans to add tracker-based AR to its AR studio tool later in April, which will allow developers to make use of the new feature for their own unique AR experiences. 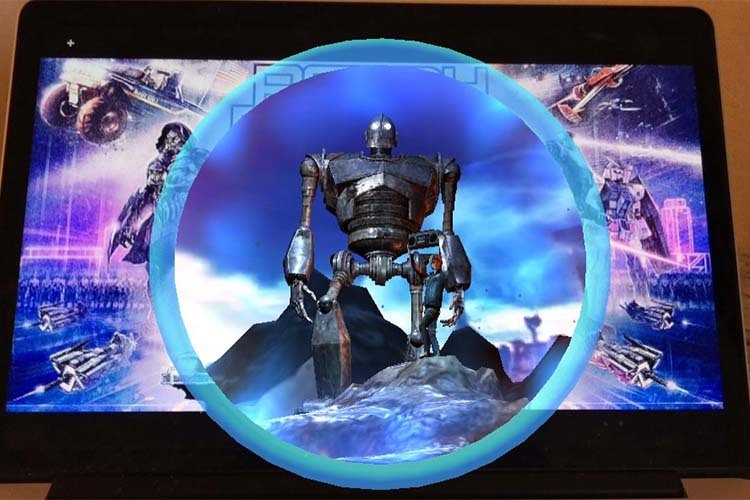 The report highlights a video which showcases the new AR feature interacting with a poster for the movie Ready Player One. When pointed at the poster, the camera app overlays a window into the virtual Oasis world. In cases where a physical poster is not available the AR feature will also work with a digital copy of the poster. Posters of The Wrinkle In Time also have a similar AR experience. As of now, the company hasn’t revealed when the feature will go live for all users. However, considering the fact that Ready Player One is scheduled to release on March 29 in the US, the feature might go live later this month.